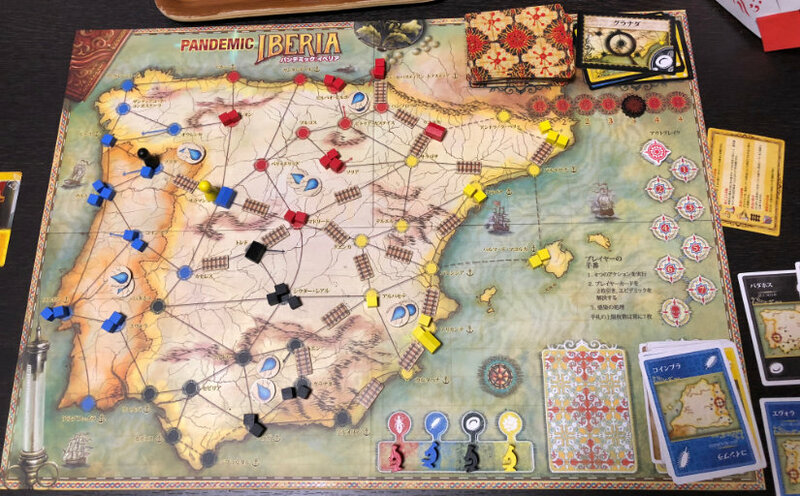 My wife expressed interest in trying out a board game over the New Years holiday, so we went to the local game store together and picked out two games: Pandemic: Iberia and the card game Babel. 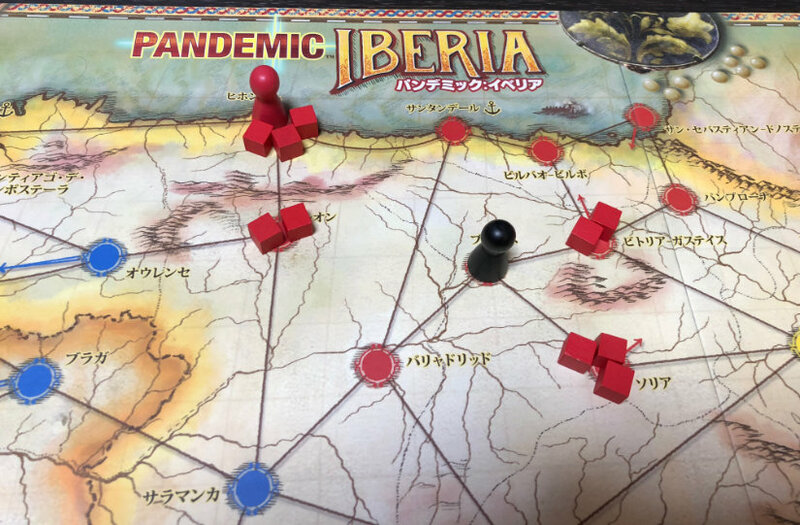 A friend told me that he and his wife have gotten hooked on the normal and legacy versions of Pandemic, so this immediately got a look. 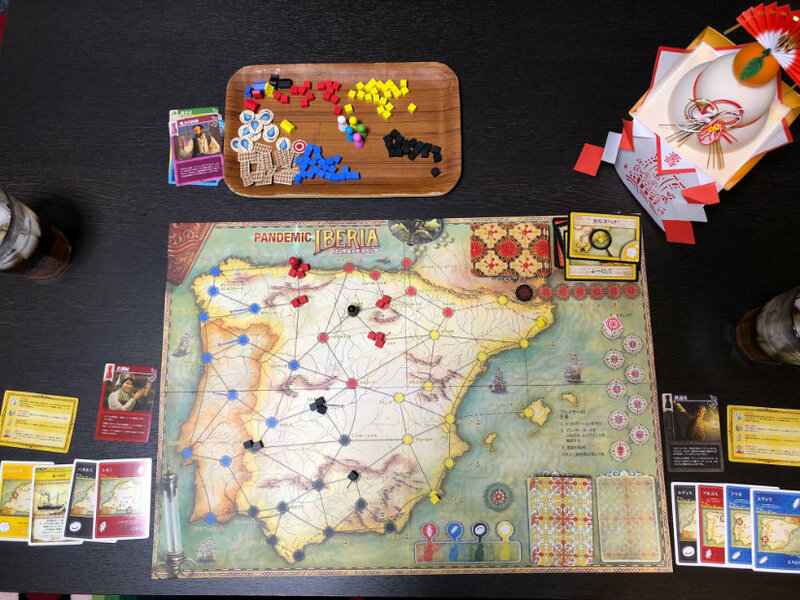 The cooperative game play is great, and the added historical context interesting. 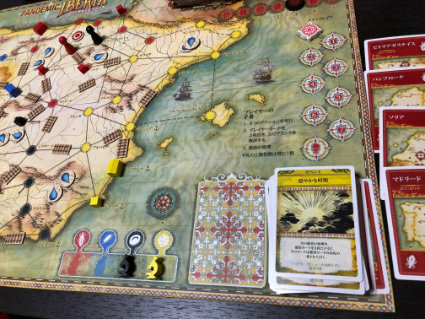 The general rules and setup are similar to standard Pandemic. Like the original, players perform four actions per turn, draw two Player cards, and then draw Infection cards. One of the major differences is with movement. Instead of air travel, players have options of travel to coastal cities using boats and other cities by building railroads that allow you to travel to any connected city. Having the railroads you built come in handy later in the game is a great feeling. Another difference is that diseases can’t be eradicated. 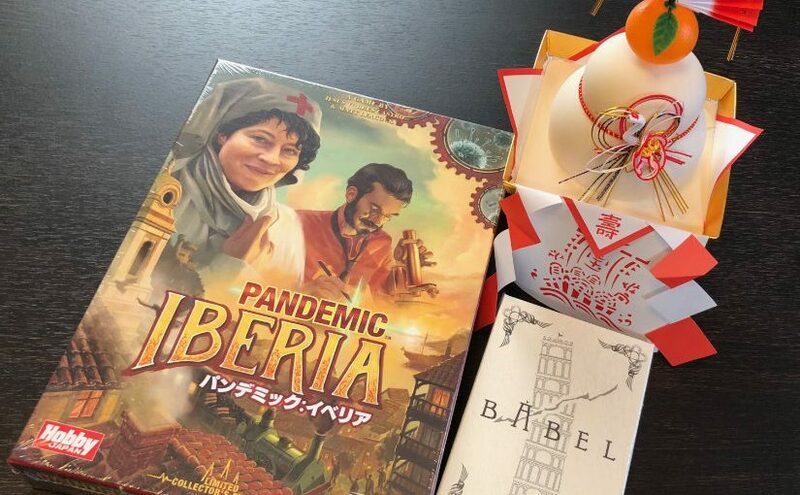 Once researched, it becomes easier to play Purification tokens that slow the spread of diseases in a region. For each Purification token in a region (the empty space between multiple cities) one less disease token is added to adjacent cities. The packaging, manual, and components are beautiful and really help capture the mood of the game. She was skeptical at first whether she’d like the game, but five play throughs over the course of two days seems to prove otherwise. She actually asked me to borrow the normal version from a friend so that we can try it as well. Out of our five runs, we won once, and on the very last turn at that.